Sign the Petition ... Please! ... If you like rallying, we need your help. You know that old phrase banging your head against a brick wall? 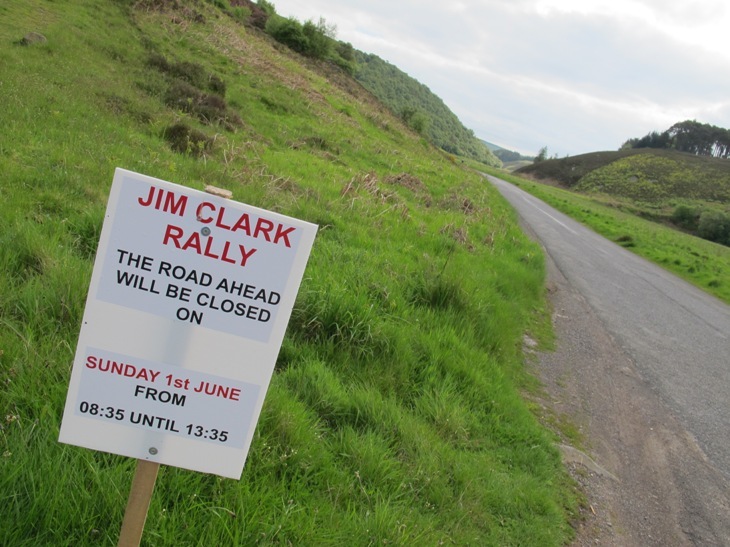 That kind of sums up feelings within certain members of the Jim Clark Rally organising team these days. Every time an encouraging snippet of news is leaked from the Lord Advocate's office, hopes are dashed when nothing happens. It's now 3 years since that tragic accident on the rally and permission to run the event has still not been granted. Although the Police investigations are complete, the Lord Advocate has not released his final report. Until he does, Scottish Borders Council, the MSA and the rally organising team must await his final report granting permission to resume. During those three years many false hopes have been raised only to be dashed against the dark, dense, unyielding wall of bureaucracy. To be fair, this wasn't entirely the Lord Advocate's fault as other 'more pressing' matters had to be investigated, and the rally report was pushed to one side, again, and again. But it is his fault that 3 years have passed and still nowt! That's the problem with a 'minority sport', as rallying is perceived by those who rule and govern, public furore will always demand prompt action when tragedy strikes other headline grabbing events. Rallying has few allies or friends in that over-priced pile of designer concrete and rusty metal at the foot of the Royal Mile in Auld Reekie, so it's all too easy to put it aside when public clamour demands more urgent attention. Despite other tragedies in other sports over the past three years, no other sport has been affected in this way. Outside of sport, tragedies have occurred in the workplace, at home and on holiday, in city centres, the countryside and at coastal resorts, and yet life goes on. In fact, life itself is a big risk whether crossing the road or going to bed with your phone plugged into the charger! What makes the whole affair so much more perplexing to those who follow the sport is that, strictly speaking, it wasn't spectators who were involved in the fatal accident. It was two members of the media who should have known better, listened to instruction and not had two non-media friends travelling with them. After repeated delays the organisers were promised a final report by December of last year. Then it was changed to February this year. Then the holder of this high office decided to retire in May - before finishing the job he was paid to do! It was hoped the new Lord Advocate would finish off the job quickly, but again hopes were dashed when he said he wanted to review all the relevant paperwork. Here we go again. Not only do the rally organisers have to be patient, they have to be polite, in case they upset m'learned friends - but I don't. For someone who is earning rather more than £100,000 a year surely he could read a bit quicker, put the report to bed, and let us get on with it. Motor sports people are taxpayers just like everyone else, and those elected to high office should remember that they have a responsibility and duty to serve ALL of those who contribute to the public purse from which they derive their salaries and claim their expenses. So, please sign this petition - it's really easy! We have to keep the pressure on. The longer authorities try to prolong this, the more likely they will be to ignore it. There is also a written Petition underway which is being taken to events around the country so if you don't sign the on-line Petition look out for this one at the Solway Coast and Grampian Stages and other motoring events. When it's ready for presentation we'll need placards and a pipe band, ready for the march down the Royal Mile. Now where can I get some blue and white face painting woad? And perhaps I should also work on an Australian accent for added authenticity.